Nerdcamp was amazing!!!!! And then I had to come home and recover from Nerdcamp. I wrote over 6,000 words last week and I was zoned in so I didn't get much reading done. We did watch a whole lot of Captain Underpants! I'd like to finish reading Merci Suaréz Changes Gears this week and Being the Change by Sara K. Ahmed. 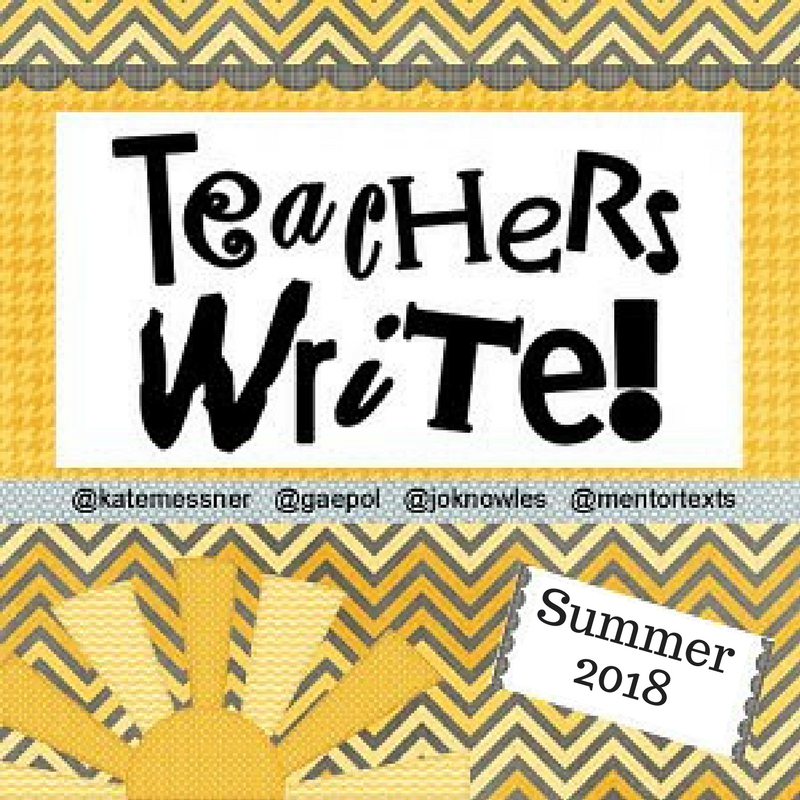 And I'll be writing with Teachers Write! CONGRATULATIONS on your writing accomplishment last week. WOW! I'm soon envious of Nerdcamp peeps, but one day I'll just have to get there, myself. I'm adding Being the Change to my list -- looks really good and should prove helpful in my community. Thanks for the shares and have a wonderful reading week, Jen! Nerdcamp was so awesome. It was great to see you again and meet your family. I finished Merci Suaréz Changes Gears last week. Oh my heart. My family is also going through similar changes. I already wanted to read Being the Change, but after hearing Sarah at Nerdcamp, I am even more eager. Have a great week!